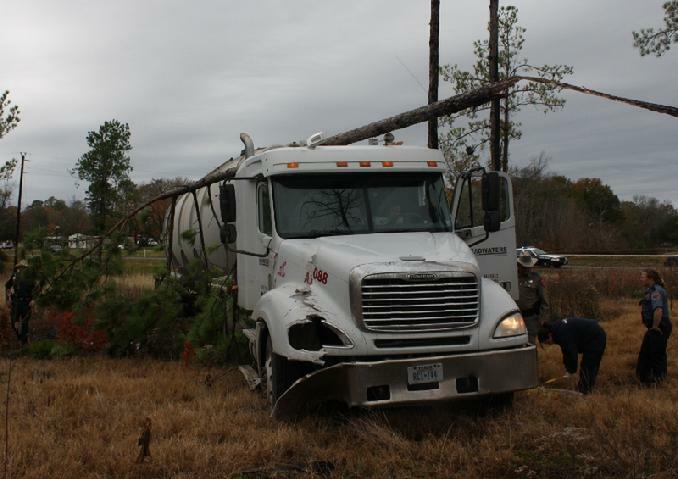 24 year old Trenton Howard of Arp, blacked out while driving on US-59 North in Moscow and took out a large tree. 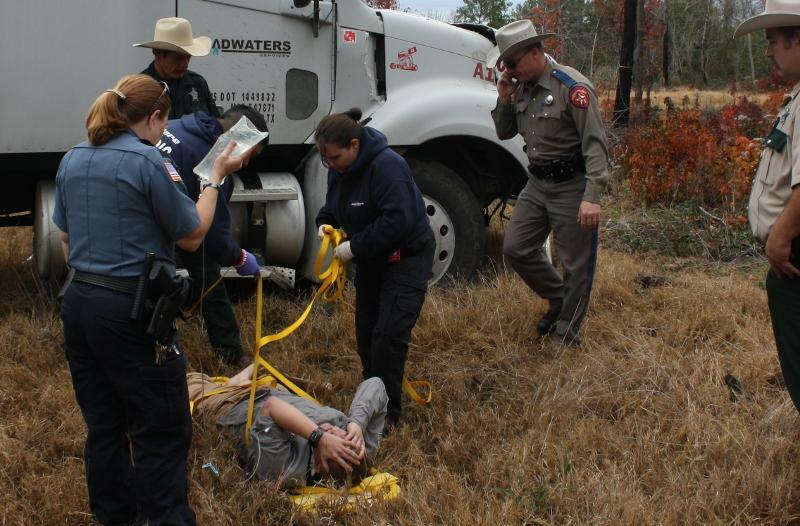 Medical Condition Believed to Have Caused 18 Wheeler Crash, MOSCOW, December 20, 2011 - At approximately 10:15 am on December 20, 2011, a Freightliner 18 Wheeler driven by Trenton Lee Howard, 24, of Arp, was north-bound on US-59 in Moscow. Howard's rig left the road to the right and rolled through an open area and took out a tree before coming to rest upright. Americare Ambulance Service was dispatched to the scene along with Corrigan PD, Deputy Keith Franklin with the Polk County Sheriff's Office and Troopers Darwon Evans and David Flowers with the Texas Highway Patrol. Trenton Howard appeared to have blacked out while behind the wheel of his vehicle causing him to leave the road. 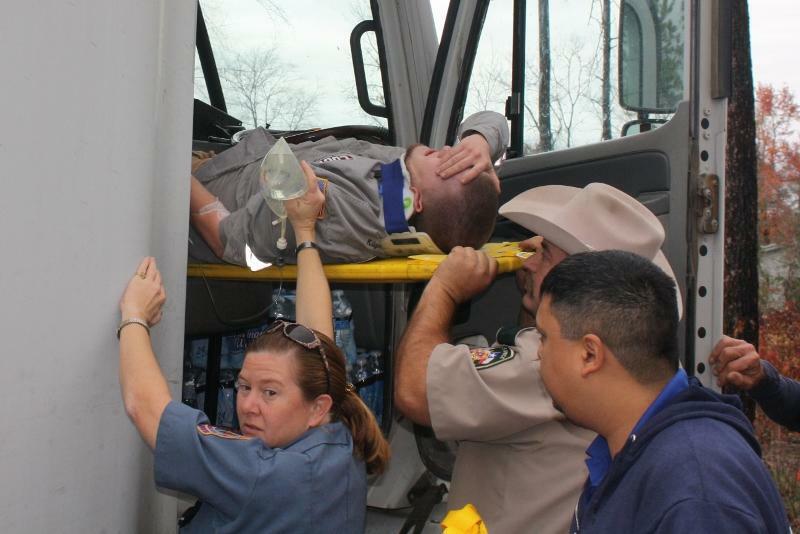 Medical personnel from Americare helped Howard and was assisted by Trooper David Flowers. After working with Howard for around 40 minutes, emergency personnel were able to remove Howard from the cab. Howard appeared to have a badly injured right leg. 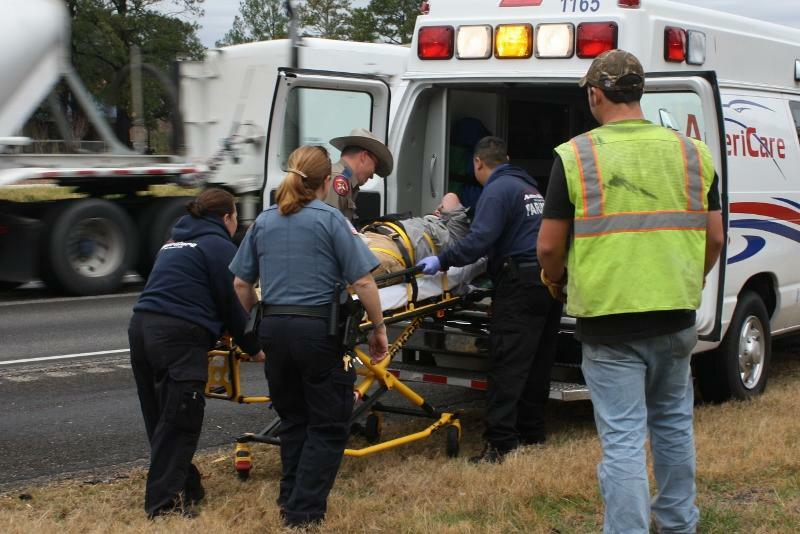 Howard was loaded into an ambulance and transported to Lufkin Memorial Hospital. No citations were issued. A heavy duty wrecker crew from Riley Wrecker Service out of Corrigan recovered the tanker and it will be stored in Corrigan. The scene was cleared shortly after noon. 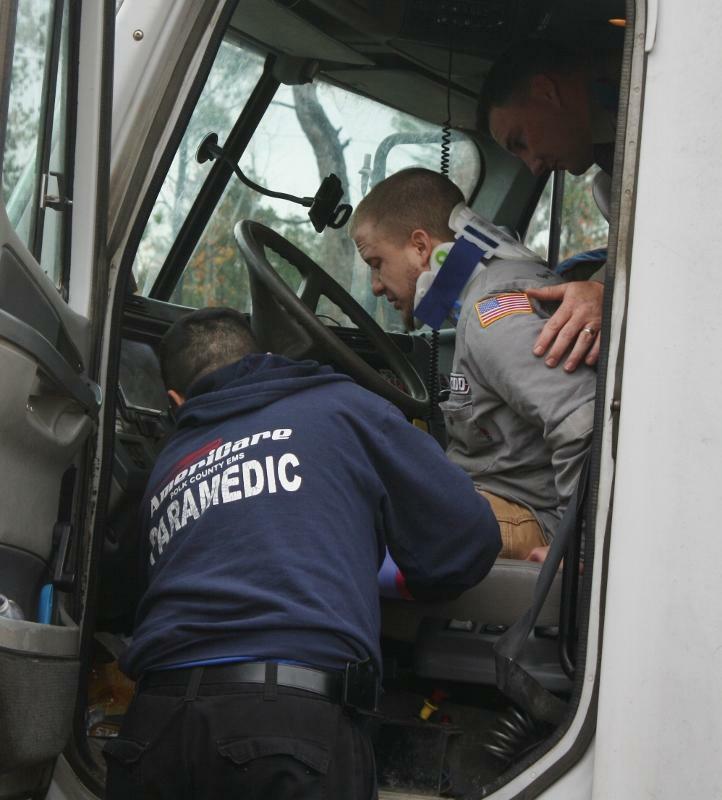 Trooper David Flowers (upper right) assisted medical personnel in stabelizing Howard to remove him from the cab. Trenton Howard was in severe pain as his right leg was badly injured. 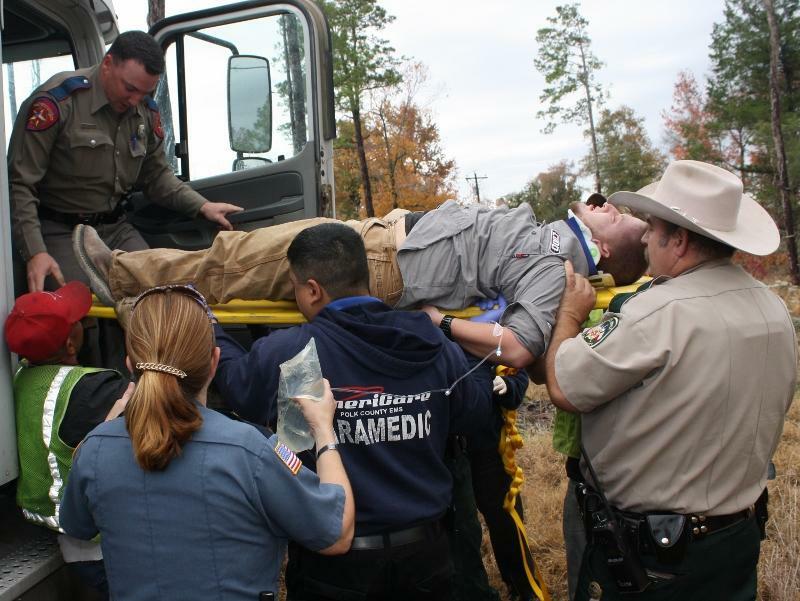 Howard holds his head grimacing in pain as medical personnel prepare him to be transported to Lufkin Memorial Hospital. 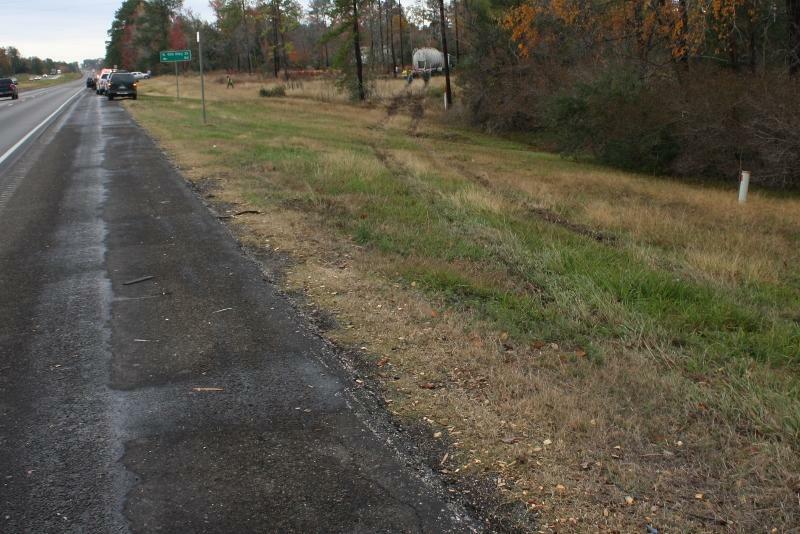 Tire tracks show how far Howard rolled into the open area before striking a tree. 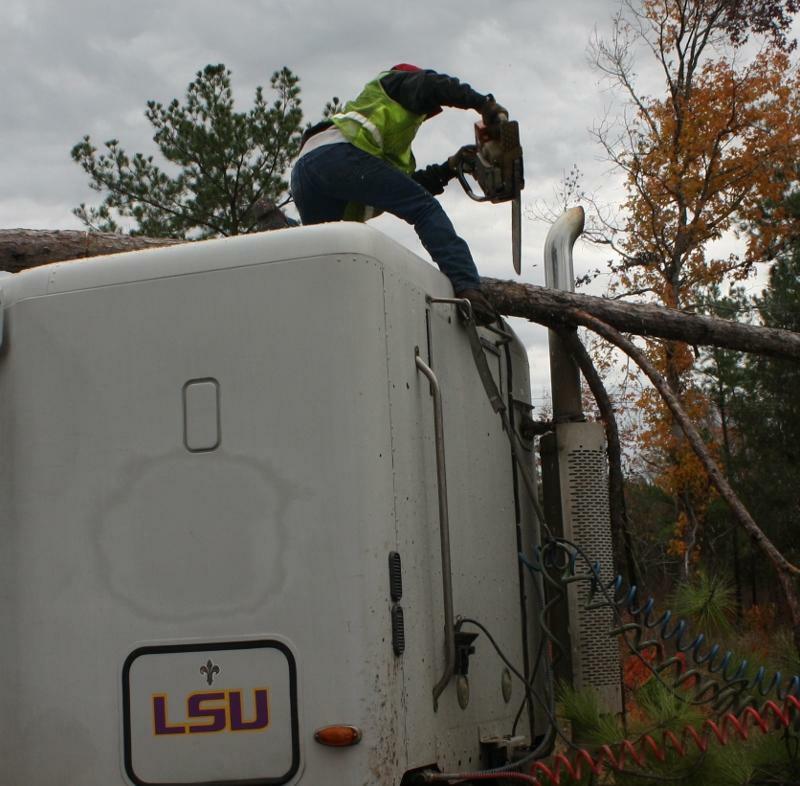 A worker from Riley Wrecker Service uses a chainsaw to cut the tree off the top of the cab. James Riley has the right equipment for the heavy duty jobs. 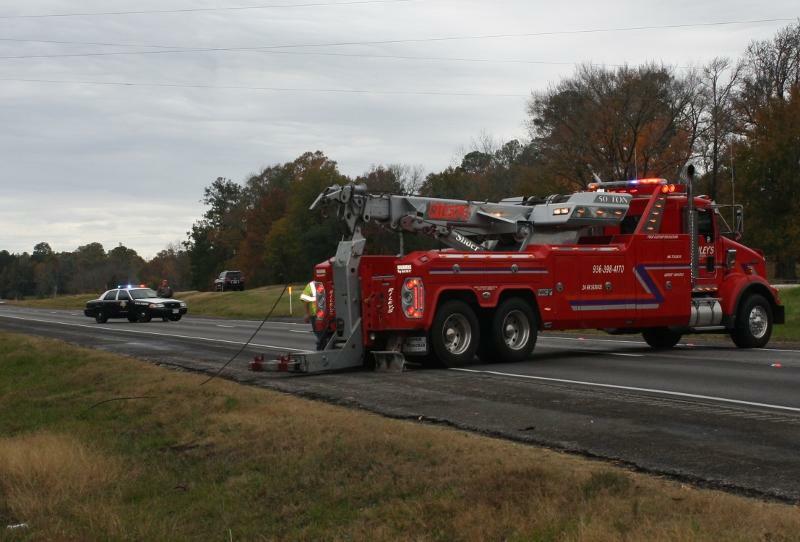 North-bound traffic was blocked during vehicle recovery.